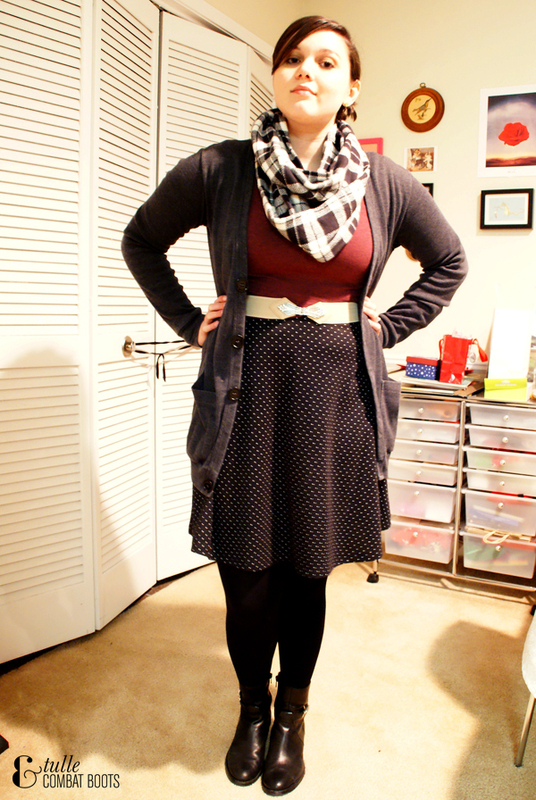 Tulle & Combat Boots: plaid & dots. 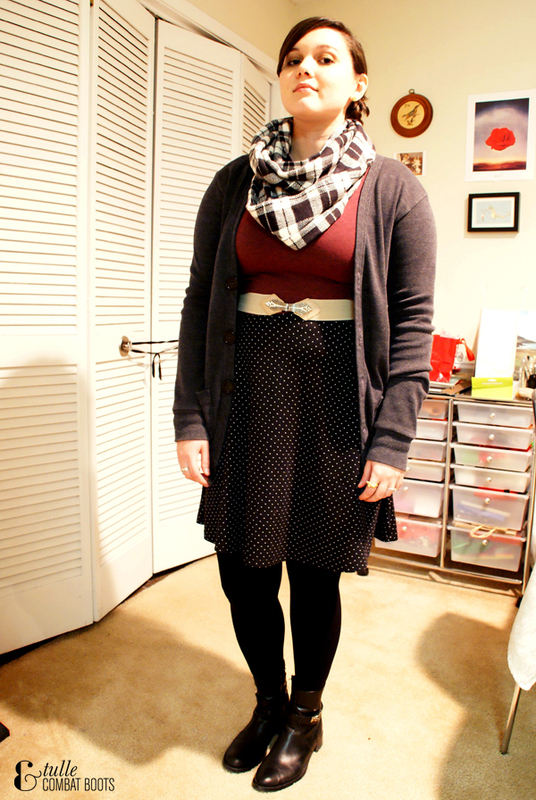 Plaid & polka dots, two of my favorite things. I bought this scarf back in November at a boutique event that I went to with a bunch of coworkers, and I've certainly gotten my money's worth in terms of times I've worn it! It's so warm & goes with everything.